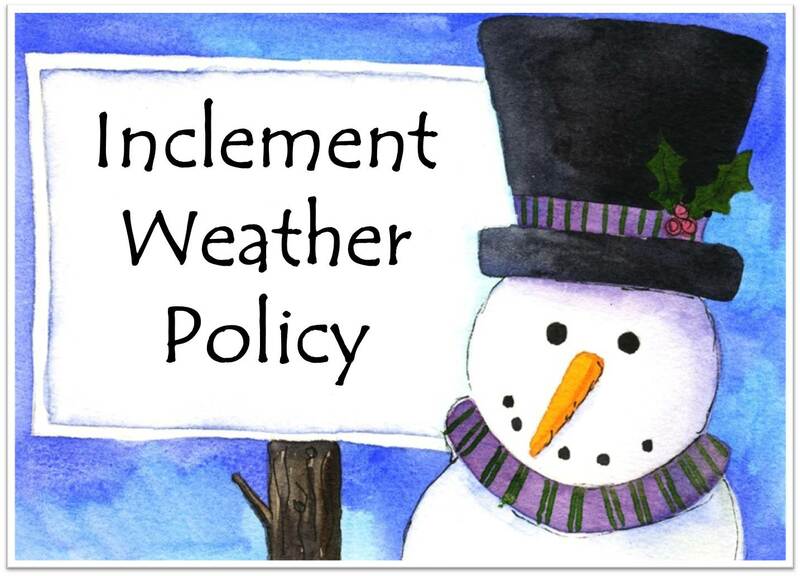 First United Methodist Preschool will follow Elkin City Schools for any school delays or closings. If Elkin City Schools close, then we will be closed. If Elkin City Schools are on a one hour delay, preschool still opens at 9:00 am. If Elkin City Schools are on a two hour delay we will open at 10:00 am. If Elkin City Schools are on a three hour delay we will open at 11:00 am. If Elkin City Schools close early, then preschool will also close early.